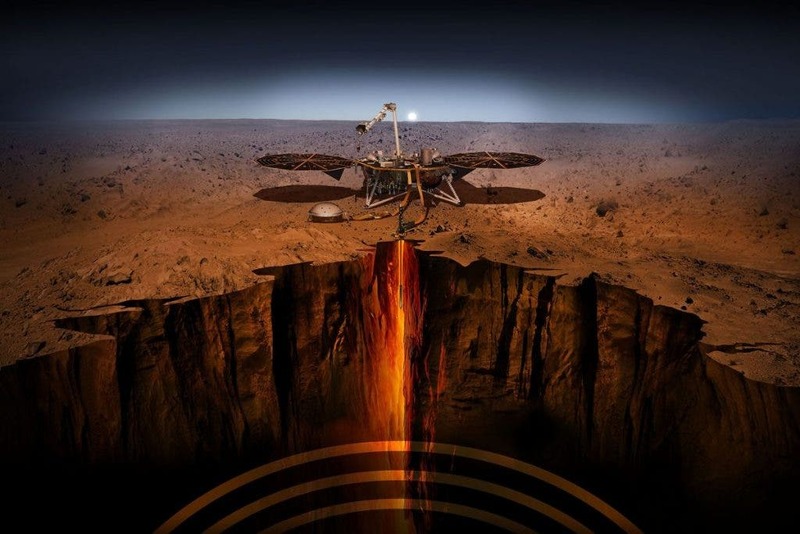 The Jet Propulsion Laboratory says that although will be several weeks before the InSight mission starts delivering data from deep inside Mars, marks a scientific milestone, according to Bruce Banerdt, a scientist at nasa’s Jet Propulsion Laboratory who studies the evolution of Mars. NASA’s InSight lander opens a window into the “inner space” of Mars. Its instruments says the JPL will peer deeper than ever into the Martian subsurface, seeking the signatures of the processes that shaped the rocky planets of the inner Solar System, more than four billion years ago. InSight’s findings are expected to shed light on the formation of Mars, Earth, and even rocky alien planets beyond the Solar System. In the weeks ahead, Insight’s robotic arm, which is over 5 feet 9 inches (1.8 meters) long will unpack some scientific instruments and begin its epic tasks. It will lift a seismometer and heat-flow probe from the deck and places them on the surface. The camera on the arm will provide color 3D views of the landing site, instrument placement, and activities. Sensors measure weather and magnetic field variations. The lander, says the JPL, uses the Instrument Deployment Arm (IDA) to place the instruments on the ground. The lander’s sensitive instruments are able to obtain their best measurements in direct contact with the Martian surface. Upon landing, Insight’s solar panels will activate and its cameras will survey the landing site. The arm has a shoulder, elbow and wrist joints and four motors. The grapple is at the end of the arm. The arm-mounted camera is between the elbow and wrist. The arm deploys the heat flow probe – a mole that burrows 16 feet (five meters) into the ground. That’s deeper than any instrument that has ever been to Mars. The arm also places the seismometer on the surface, from where it can sense vibrations from deep within the Red Planet. The robotic arm includes a grapple for grasping each piece of hardware the arm will lift. The grapple’s five mechanical fingers can close around a handle that resembles a ball on top of a stem. Each of the three items the arm will lift has one of these handles. The three are the Seismic Experiment for Interior Structure, the Heat Flow and Physical Properties Probe, and the seismometer’s Wind and Thermal Shield. Another instrument will burrow nearly 16 feet into the soil to measure the heat coming from the interior of the planet, which, like Earth, is still cooling from its fiery creation 4.5 billion years ago. A third instrument will focus on the lander itself, tracking its position as the planet wobbles during its orbit around the sun, which can reveal information about the size of the core.